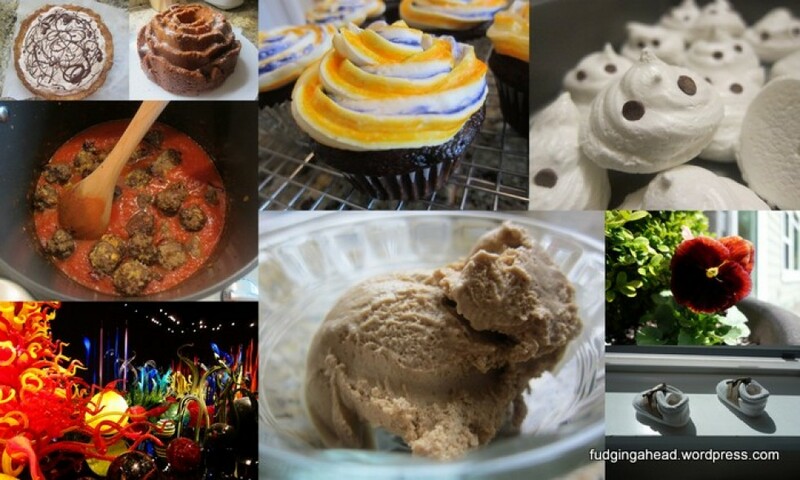 It’s one of those recipes that isn’t really a recipe. It’s so easy but was really tasty and pleased everyone. This is one of those baking sheet recipes. I see all sorts of them, but when I try them usually the protein cooks way before the vegetables and dries out. This mixture actually all cooked together nicely and was as easy as expected. Something else to note…if your grocery store is like mine, I am unclear if I used a fennel bulb or an anise bulb. Supposedly they are similar, and my store only seems to carry anise, but then I heard a produce worker telling someone that they are the same…which they aren’t, soooo which are they stocking? Who knows. You are only using the bulb here anyway. 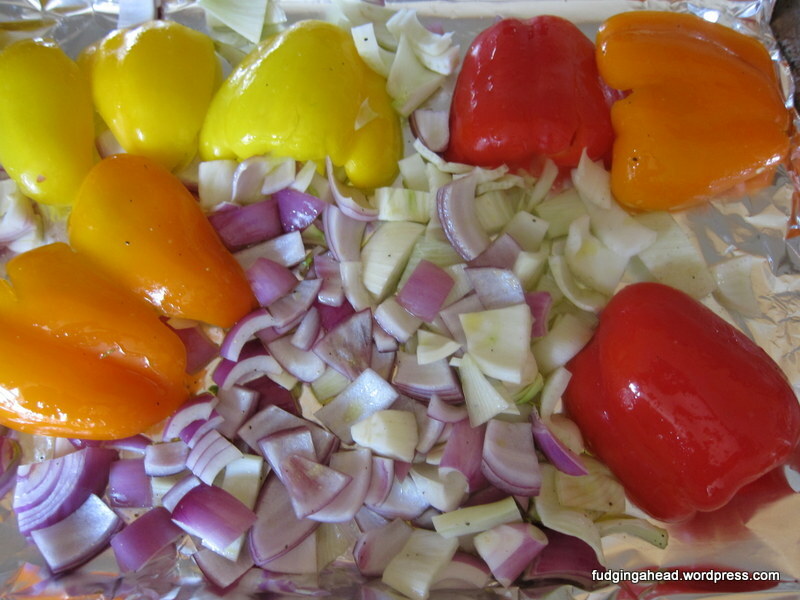 There is a red onion (chopped), 3 bell peppers sliced in half and with the core removed (but you could use more), and about 1/2 cup chopped fennel. Place them all on a foil-lined baking sheet that you spray with oil. Season with salt, pepper, and any other herbs if desired. Add a teaspoon of olive oil and stir with the vegetables. Nestle a few Italian/sweet sausages on top. Then simply roast until the sausages are cooked through with the oven at 375 degrees F for 40ish minutes. 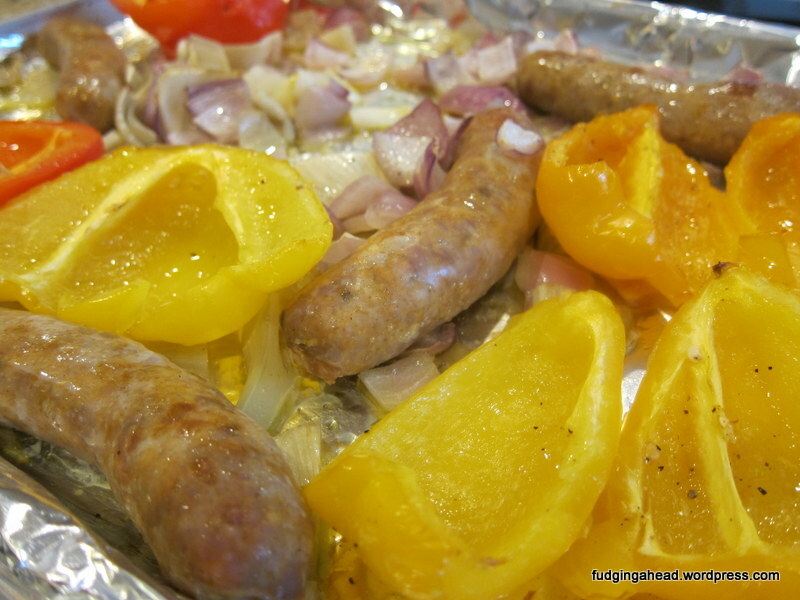 About halfway, flip the sausages and peppers and stir the onion and fennel. 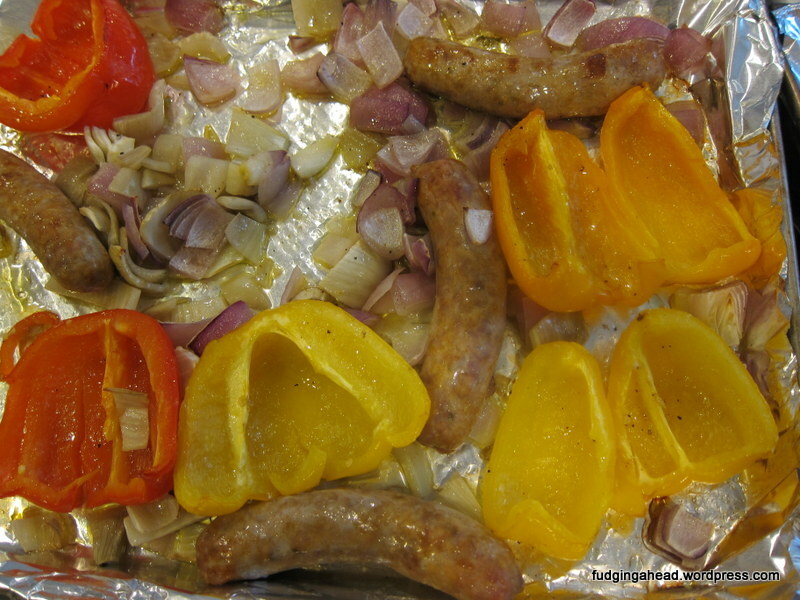 The peppers became nice and soft and the sausages stayed juicy. You can serve this with rice, rolls, mashed potatoes, or whatever else suits your fancy. ← Topic-Changing Thursdays: The Chiplet is 6 Months Old!